MBGnet: What's It Like Where You Live? 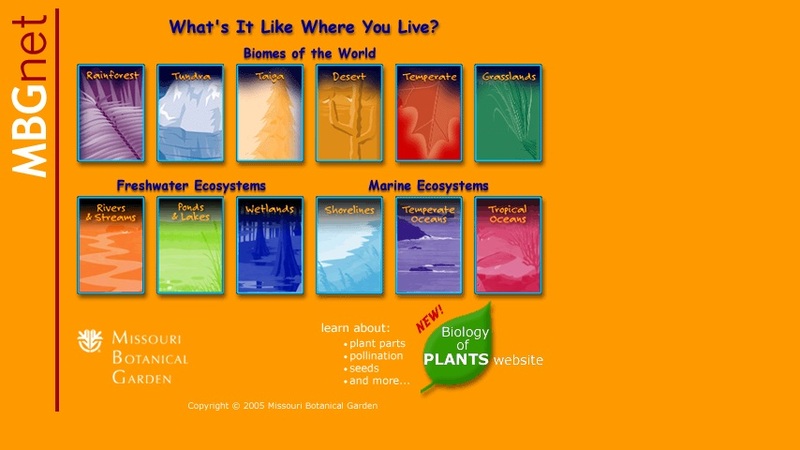 A set of interactive presentations for upper-elementary and middle-school students on the world's biomes, freshwater, and marine ecosystems, developed by the Missouri Botanical Garden (MBG). Each presentation covers the plants and animals, climate, and other physical attributes (temperature, salinity, soil moisture, and others) of these regions, including photos and links to related websites.